But will you do tutorials on this? Maybe? We don't know what we will and will not do at this point. If not us then I'm sure someone else will. Secondly, I found an issue with the Intersect Editor. 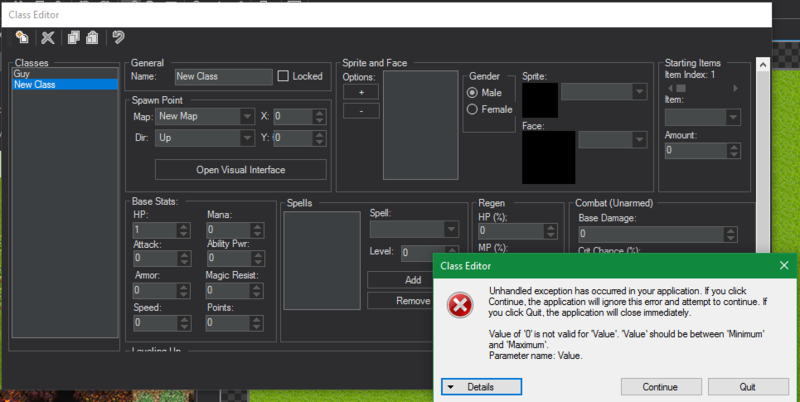 The Class Editor shoots an error at ya, stating something about '0' being invalid for property "Value"
Basically, I clicked "New Class" and after clicking on the newly created class this error pops up. lol, setting it to 0, but setting minimum to > 0?